In Semyon Varlamov’s best year in the NHL — the Avalanche’s magical 2013-14 season — the Russian goaltender played in a career-high 63 games. His workload lessened in the seasons since because of injuries, including when he was shut down last January before undergoing a pair of hip surgeries in an attempt to rid him — once and for all — of the groin muscle problems that had plagued him since his early days in the NHL with the Washington Capitals. In the early stages of 2017-18, the Avalanche is showing signs of both: a) trusting backup Jonathan Bernier, signed as an unrestricted free agent on July 1, and, b) acknowledging that Varlamov, at 29 and with an injury-plagued past, ideally should be ticketed for no more than 57 starts this season. That’s even if he stays healthy all season. It wouldn’t be about taking great care with Varlamov as much as it would be about trying to increase the chances of him holding up. 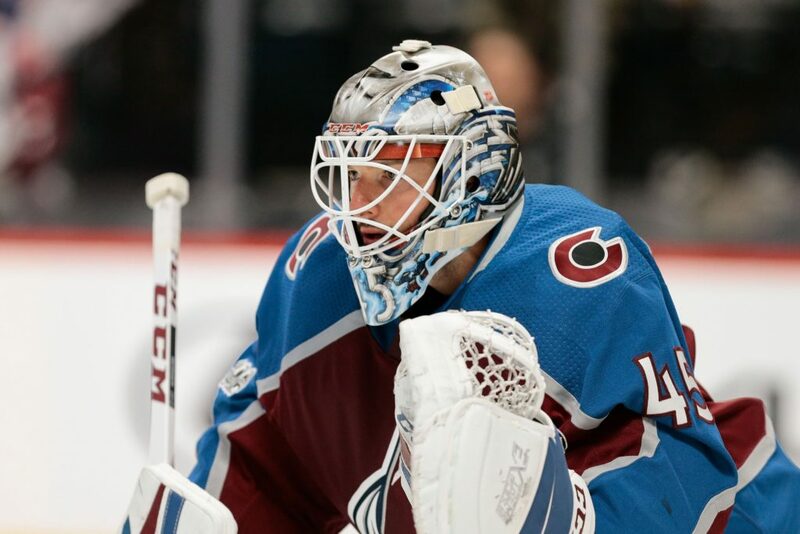 Bernier, also 29, got his third start in the Avalanche’s 4-3 loss to St. Louis Thursday night at the Pepsi Center. He allowed the four goals on only 28 shots and at the end of the night his save percentage for the season was down to .894 — below the Hardy Astrom Line — and his goals-against was a pedestrian 3.04. Those are ugly numbers, if not all Bernier’s fault. And to be fair, he stopped 17 of 18 shots in his previous start, the 3-1 win over Anaheim at home last week. It’s a small sample, of course, but for this to work, Bernier has to be better than than he was against the Blues Thursday night. The loss was the Avalanche’s third in a row and dropped Colorado back to 4-4 for the season. Varlamov has played five games, with a 2.21 goals-against average and a .931 save percentage. In Patrick Roy’s prime here, it was easy to predict his workload. In his full seasons with Colorado, hi games-played figures were 62, 65, 61, 63, 62, 63 and 63. Part of that consistency was his amazing resilience. And his games on the bench in a baseball cap were fairly easy to predict, often involving games on back-to-back nights, and — to his credit — against the less-than marquee opponents. He didn’t want miss a night in the spotlight. Again, this is early and the workloads are easily alterable, but if Avalanche coach Jared Bednar continues this pattern of deployment, and both goalies remain healthy (an iffy proposition), Varlamov would start 51 games this season, Bernier 31. Since the two goalies split the first two starts — Varlamov playing in the win at Madison Square Garden and Bernier in the loss at New Jersey — the pattern has been two games for Varlamov, then one for Bernier. Varlamov was in the net for the losses on the recent trip to Dallas (3-1) and Nashville (4-1). The major issue, of course, is whether Varlamov will hold up. Yes, it’s a given that if Varlamov was significantly short of 100 percent healthy, Bednar wouldn’t be playing him — and his early season numbers wouldn’t be this good. But I asked Bednar about it, anyway. As with everything else, the Avalanche was unhappy with its goaltending last season. Asking a goalie to salvage respectability for a dreadful team is a tall order, but Calvin Pickard didn’t come close. Varlamov was protected in the expansion draft, but not out of fear of losing him. There was no chance that Vegas would have claimed in the expansion draft, given his contract ($5.75 million salary this season, $5.5 million in 2018-19) and his injury issues. Those were issues Golden Knights GM George McPhee was acutely aware of, given he was the Capitals’ GM when Varlamov broke into the league. Colorado protected Varlamov as an arm-around-the-shoulder gesture, as a you’re-our-guy expression of support. The Knights claimed Pickard, initially ticketing him as Marc-Andre Fleury’s backup, but then traded him to the Maple Leafs after he was placed on, and cleared, waivers. He’s now in the AHL with the Toronto Marlies. To fill the role as Varlamov’s backup, the Avalanche signed Bernier to a one-year, $2.75-million deal — pricey for a No. 2 goalie. He has been a No. 1 at Toronto and had a decent 2016-17 with the Ducks, and this makes him a UFA again after this season. The Avalanche’s investment of $8.5 million salary in the net this season is tied with Washington for the sixth-highest total in the NHL, behind Dallas, the Rangers, Detroit, Florida and Boston. 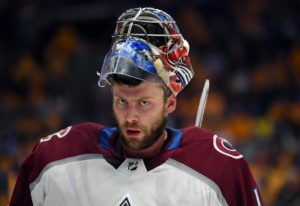 The Avalanche has to hope that Varlamov stays healthy and flashes back to 2013-14 form, but also that Bernier plays well enough this season to make him too expensive to re-sign.